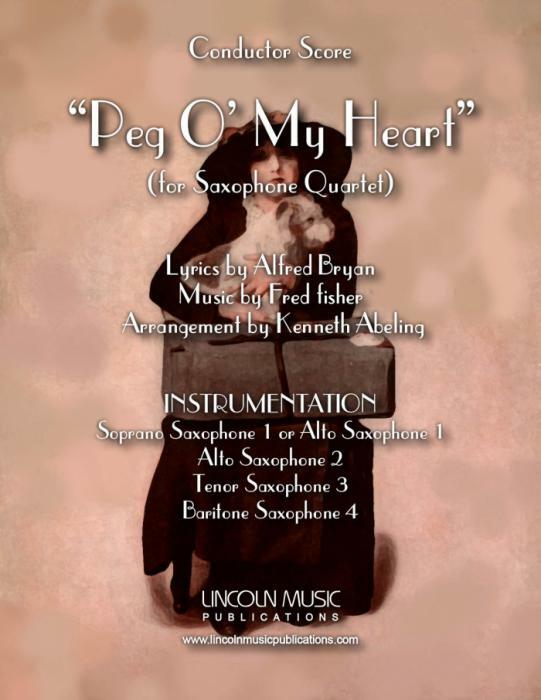 “Peg O’ My Heart” is a charming song written for a Broadway show of the same name by Alfred Bryan & Fred Fisher and arranged here for Saxophone Quartet by Kenneth Abeling. This is an advanced intermediate to early advanced version of the very popular show tune which evolves from a slow “Rag-ish” type feel into a slow Swing. Playing Time: 3:45.